Cycling in London is on the increase, however it can be tricky to discover the best routes for cycling in London – the ones that use proper infrastructure, or avoid busy roads, while still getting you from A to B in an efficient manner. Cycling maps are tricky to do – on the one hand, you can try a purely geographic approach, but this tends to results in huge maps showing the entire road network, 90% of which is of not of interest (though see this nice example.) 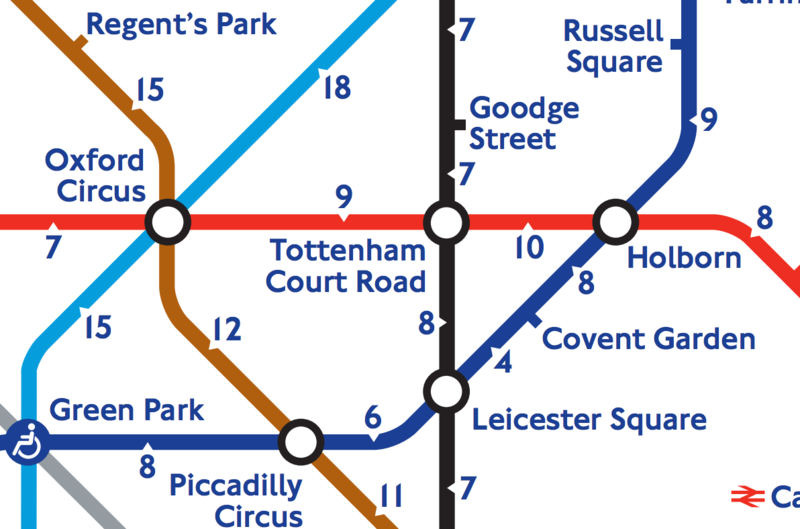 There is an alternative approach – taking the famous tube map, with its straight lines and bright colours (see this prototype). But, above ground, such a simplified representation is difficult to follow. The Route Plan Roll Cycle Map has a good attempt at merging the two main mapping styles together. 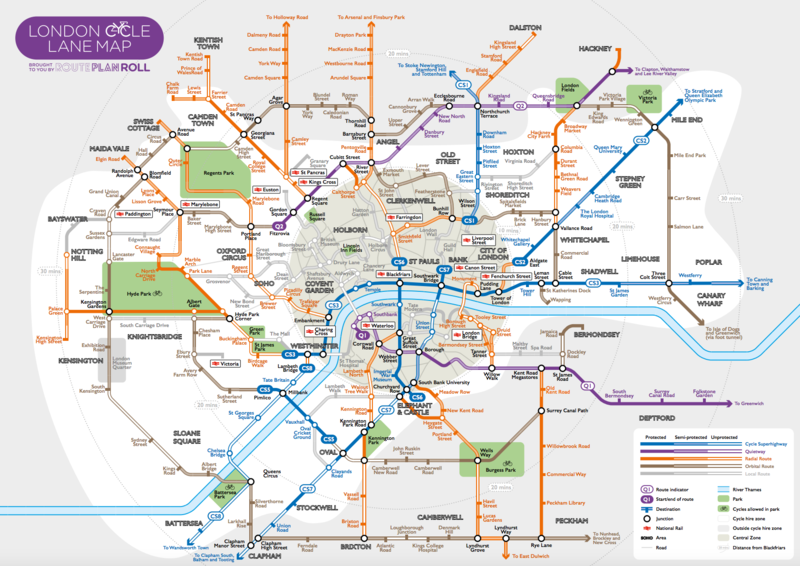 It essentially is the Tube Map for cyclists, with straight lines representing the main dedicated, protected and otherwise signed routes in inner London, – but in centre of the capital it switches to a geographic map, to help navigate where the various Cycle Superhighways converge and tourists on bicycles, unfamiliar with London’s geography, are likely to be. The transition between the two types of mapping is handled well (see below). 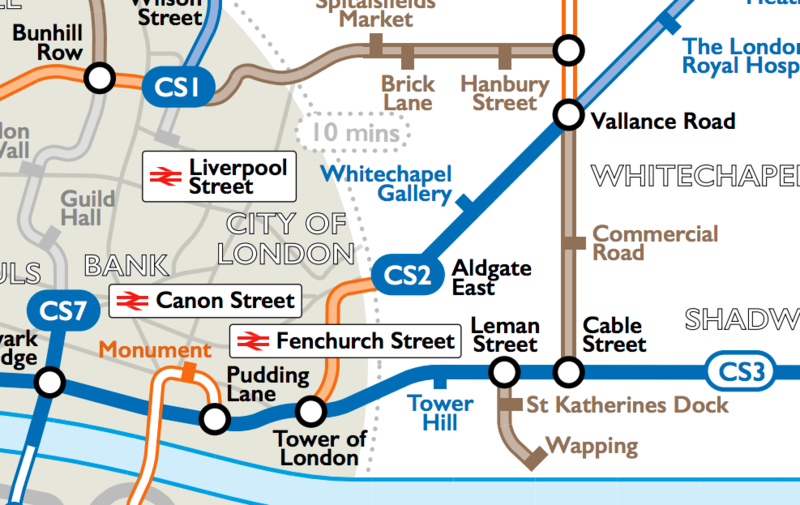 Routes are coloured by their status – being part of the Cycle Superhighway or Quietway networks or a key radial or orbital route. The lines are then infilled according to the level of protection they offer – the solid colours showing the “gold standard” fully protected ways. Key parks and the ever-important River Thames are included. 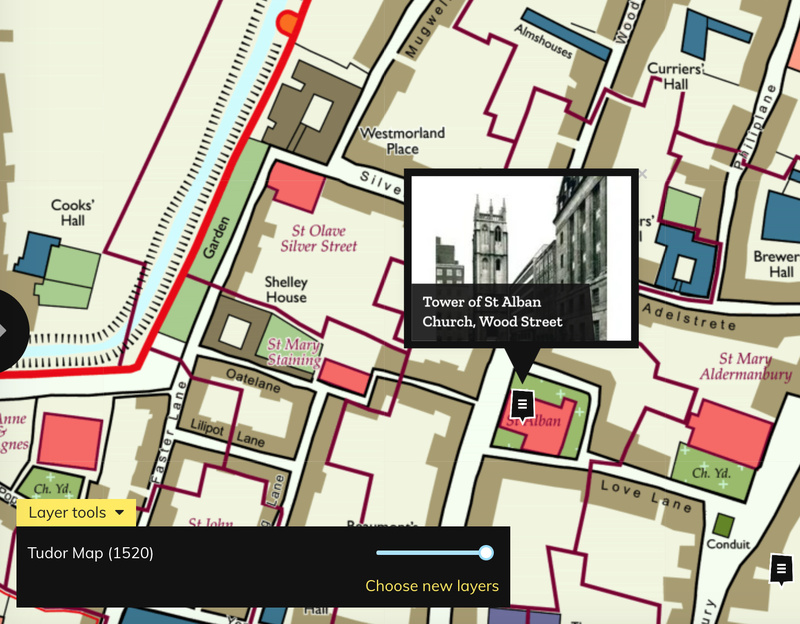 The fonts used are similar to those on the familiar London “tombstone” maps and are nice and clear. 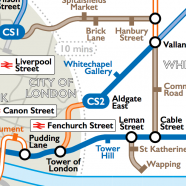 This is probably the best London cycle map we’ve seen, as it is one that caters both to the aspiring cycle commuter and the tourist that wants to explore London by bike. As London’s infrastructure continues to evolve, we we look forward to many of the route lines filling in, and possibly extensions out to the developing cycling communities as far away as Walthamstow and Stoke Newington to the north, and Herne Hill and Tooting, all of which are of which are currently just off the edge of the map.